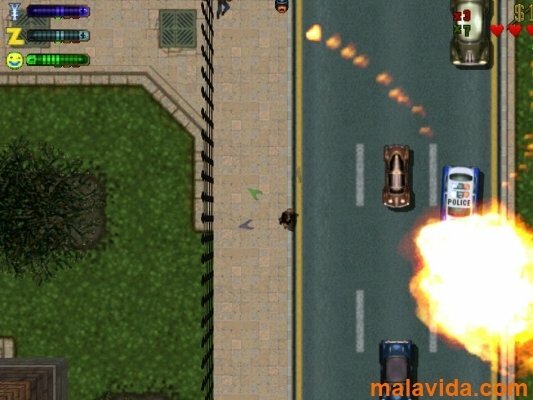 GTA 2 confirmed the success of the saga and was the precursor of what are nowadays known as sandbox games. Since the first Grand Theft Auto until the glorious GTA4 a long time has gone by, with a great change in what regards to adventures, cities, robberies, and graphics. Download the demo of GTA 2 for free and obtain the second success by Rockstar studio, that offered an aerial view of the action that allowed total freedom to the player. Controlling Claude Speed, a small-time thief, we'll have to make Anywhere City end up under our full control. As in the rest of GTA, we will start as a nobody to end up being a Don of the local mafia. 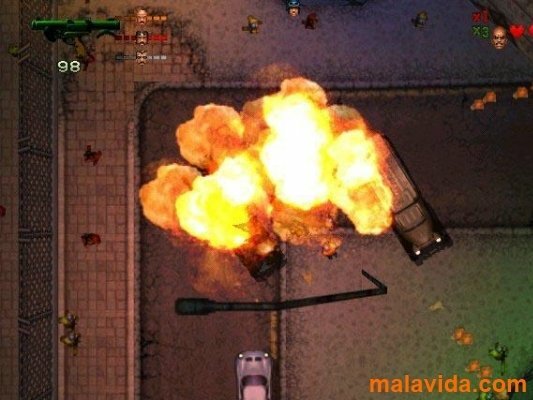 Thus, in GTA 2 (or Grand Theft Auto 2) we will face a total of seven street gangs distributed in the three different maps. 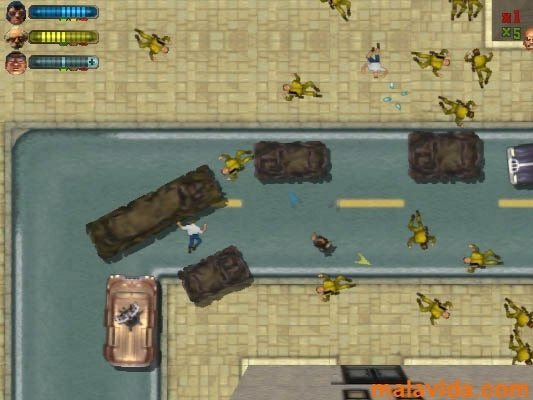 As with all the GTA games, and despite the fact that the realism is rather limited, the accentuation placed on cruelty and freedom of movement when it comes to carrying out illegal actions during the game had a great repercussion on GTA 2, managing to make it gain a lot of popularity. Who doesn't know this saga by now? Enjoy its beginnings and you will find out where some of the details included in the later titles came from.